These are our picks for the best women’s multivitamins so far in 2019! 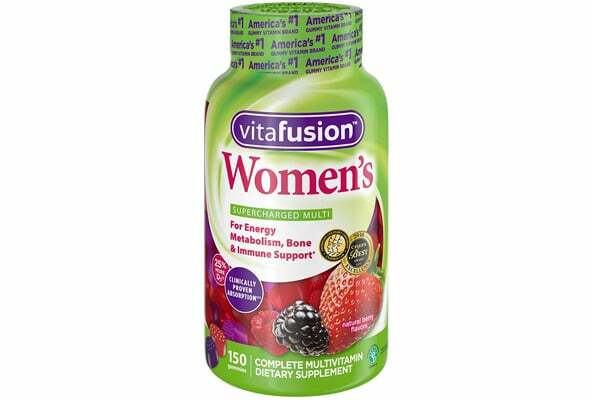 Multivitamins are equally as important for women as they are for men because we all need to meet our daily recommended intake for nutrients that are vital for all of life’s functions. Now, that doesn’t mean multivitamins can replace a healthy diet because that’s not possible, but due to our lifestyle’s and other factors, we need to sufficiently replenish important nutrients like vitamins, minerals, and natural compounds which aid our overall health and well-being. Choosing a multivitamin for a diet supplement should be a well thought out process and that’s why we’ve provided the best options for 2019… check them out! These picks are based on quality, effectiveness, and customer satisfaction. They are all quality products by good brands and are deemed safe for dietary supplementation. GNC has stores all over the World and they sell multiple products including their own “in house” line of nutritional supplements. 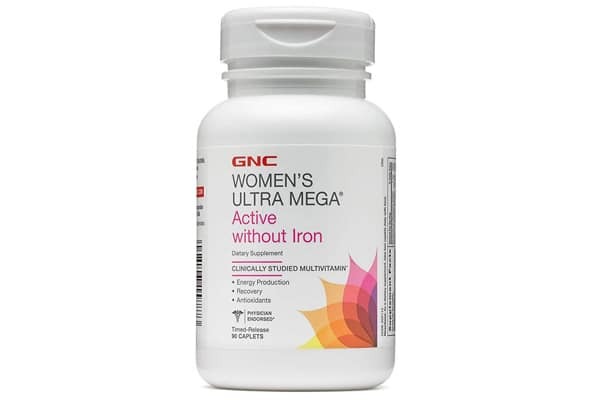 GNC’s Women’s Ultra Mega Active multivitamin has most of the vitamins an active woman needs to keep performing at optimum levels. There are some awesome ingredients and blends in here alongside the vitamins and minerals… like a super antioxidant blend, performance and metabolism energy blend, and then a joint and skin support blend. Super antioxidant blend – Alpha-Lipoic Acid, Lutenex (2020 Lutein), Lycopene, Turmeric Root Extract (Curcumin), Zeaxanthin, Astaxanthin, and Betocryptoxanthin. Performance and metabolism energy blend – Green Tea Leaf Extract, Choline, Betaine, Inositol, Boron, Grape Seed Extract, and Vanadium. With GNC’s Ultra Women’s multivitamin, you’re getting good, quality nutrients to supply your active lifestyle plus other beneficial ingredients to support good health. A serving is 2 caplets (With food) per day and there are 45 servings per bottle. Who wouldn’t love a tasty gummy bear snack as a multivitamin? Most people would agree that being excited about taking your vitamins is not common but in this case it’s expected. 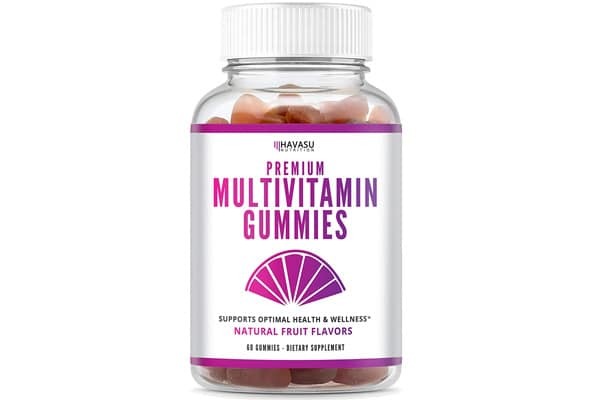 Well, Havasu Nutrition’s Premium Multivitamin Gummies are what you’ve been looking for because they are delicious and they supply a great amount of vitamins and minerals. Besides supplying a daily recommended intake of the 11 essential nutrients, Havasu gummies provide Folic Acid and Biotin. Now, for those unfamiliar with these two nutrients, we’ll break them down for you. Now, Havasu did a great job with the quality of their “premium” gummies as far as quality goes; which is really good news for people concerned with added ingredients and healthy manufacturing methods. Havasu Gummies are all-natural plus they are Iron-free (Not necessary for people with healthy Iron levels), low sugar (3 grams per serving), gelatin-free, Non-GMO and they contain no artificial colors or sweeteners. The gummies come in three natural flavors which are Orange, Cherry, and Strawberry. Havasu Nutrition Premium Multivitamin Gummies are an excellent choice for a daily multivitamin and the fact that they are tasty makes the decision even easier. A serving is 2 gummies per day and there are 30 servings per bottle. Multi-Vita-Maxx is also safe for children, providing peace of mind regarding its safe contents. But another positive about this liquid multivitamin is… well, it’s a liquid multivitamin. So, not having to swallow pills and capsules anymore plus it’s tasteless and holding your nose is not necessary to get it down. But even more impressive is the company’s claim of the liquid supplement is 90% more absorbable than “ordinary supplements,” or pills/capsules. The fulvic and humic acid guarantees fast and safe delivery plus it’s certified organic, Paleo, gluten-free, and Non-GMO. Organixx Liquid-Multi-Vita-Maxx gets a thumbs up for its quality, ingredients, and effectiveness! A serving is 3 droppers full per day and there are 30 servings per bottle. After age 40, women’s health becomes even more important and nutritional supplementation is recommended to cover all bases regarding vitamins, minerals, and health support. Iron is contained in the product, which some supplements omit but it’s important for red blood cells to develop to provide oxygen through the body so it’s worth mentioning its importance (Again, only really necessary if deficient). 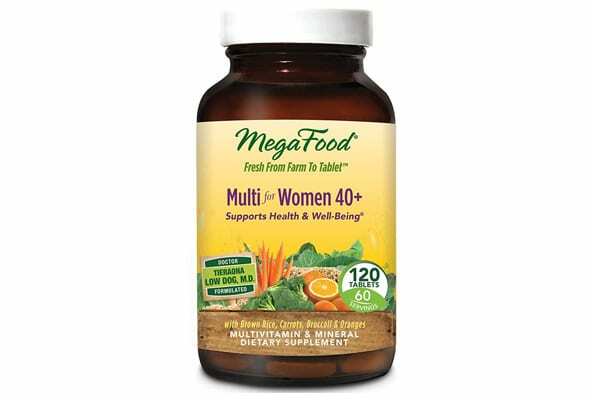 All-in-all, MegaFood for Women 40+ is a pretty basic multivitamin which supplies a good daily amount of your daily recommended intake of nutrients. A serving is two tablets per day and there are 60 servings per bottle. Women over age 55 have special needs when it comes to nutritional health. Heart, bone, mental health, cancers, joint health, and diabetes are among the concerns of aging women and early active prevention cannot be stressed enough for promoting longevity and well-being. If you’re a woman over age 55, the most important nutrients to intake in sufficient amounts daily are Vitamin D, Calcium, Folate, Magnesium, fish oil, B12, and Iron. 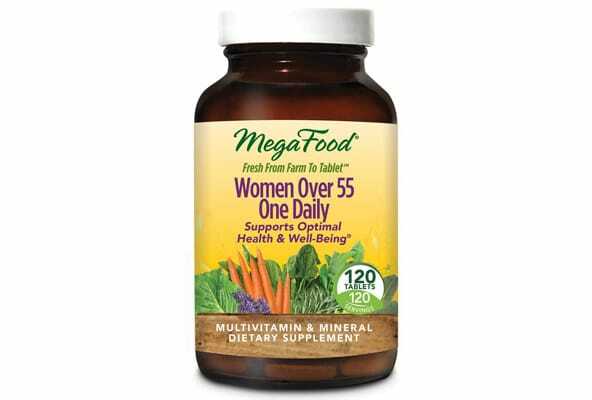 MegaFood Women Over 55 One Daily is gentle due to its real food ingredients so you can take the caps with food or on an empty stomach and still feel great. The supplement contains a fruit phenolic blend consisting of organic whole Orange, organic Cranberry, and organic Blueberry. For women 55 and over, it’s hard to beat such a great product with a brand that stands behind their quality, and ingredient profile. A serving is one tablet and there are 60 servings per bottle. There are many supportive and effective ingredients for a women’s optimal health and these include enzymes (Digestive health), trace elements, carotenoids (Antioxidant), bioflavonoids (Antioxidant), co-nutrients, immune factors (Immune health) and more. There’s plenty of digestive health enzymes and other compounds which can help with PMS and the female reproductive system plus many other female functions. Now, because One N Only is whole food based, it’s much easier on the stomach, which means you can take it with or on an empty stomach, and it provides real lasting energy. A serving is one tablet and there are 90 servings per bottle. 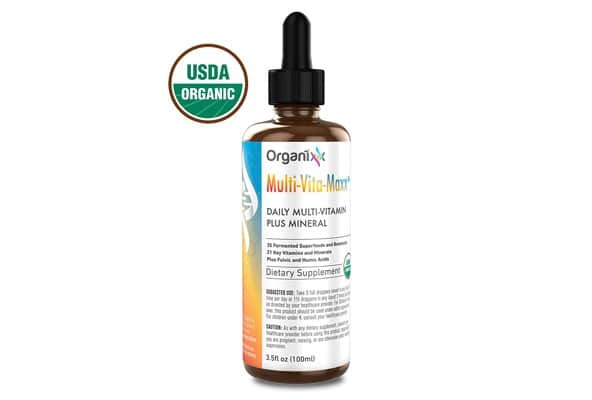 Ok, so this was our budget pick since we thought it was the best multivitamin for the money and it’s also a big fan favorite. Now, it is gummy and some people may not be thrilled but it is a fantastic option for a basic multivitamin (Again… for the price). Each serving (2 gummies) contains only 3 grams of sugar. A serving is two gummies per day and there are 75 servings per bottle. So, the obvious benefits are the vitamins, minerals and other health supporting ingredients for women of all ages. Vitamin D is vital for bone health and it may reduce mental health symptoms significantly. But there is evidence which suggests its benefits go much further like possibly preventing cancer because of its anti-inflammatory properties. No matter how good the quality of a multivitamin is, people do experience side effects because we’re all different in the way our bodies respond to certain ingredients. Cheap supplements from an unknown company with no reviews from customers. Metals (Mercury, Titanium, Cadmium, Lead, Arsenic etc). High levels of trace minerals (Chromium, selenium, iodine etc). Just keep an eye out for these ingredients when shopping for a multivitamin. Small amounts may not cause any adverse health issues or side effects but it’s better to be safe than sorry. Now, another important factor to take into consideration is whether you’re deficient in any specific nutrient. Check with your Doctor to see if you’re lacking before you start on any type of multivitamin because too much of one thing is not good! But most active people can generally benefit from a multivitamin since they need to re-supply lost nutrients due to activity. So, a good quality multivitamin should supply proper amounts of vitamins, minerals, and other health-supporting ingredients. Making the choice to include a multivitamin into your diet and lifestyle is one of the best decisions one can make. Some people just cannot get in enough nutrients through food sources on a daily basis and therefore supplementation is always recommended. Women have specific requirements when it comes to nutritional intake as it relates to health and function so getting enough of the essentials will go a long way for overall well-being. Since all multivitamins are not created equal, it’s wise to consider the top products from brands with a positive track record and real product user experience. Never try to save a lot of money when it comes to your health because the quality is rarely cheap. However, there are great products that offer awesome overall value and it’s our job to point them out. Jaret, Peter. Nutrition for Women at Every Age. WebMD. Retrieved 2019-03-24. Nutrients and Vitamins for Pregnancy. American Pregnancy Association. 2012-04-27. Retrieved 2019-03-24. B Vitamins. medlineplus.gov. Retrieved 2019-03-24. Watson, Stephanie. Iron: What You Need to Know. WebMD. Retrieved 2019-03-24. Office of Dietary Supplements – Biotin. ods.od.nih.gov. Retrieved 2019-03-24. Biotin: Uses, Side Effects, Interactions, Dosage, and Warning. www.webmd.com. Retrieved 2019-03-24. Zinc: Benefits, Deficiency, Food Sources and Side Effects. Healthline. 2018-11-14. Retrieved 2019-03-24. Office of Dietary Supplements – Vitamin D. ods.od.nih.gov. Retrieved 2019-03-24. Vitamin D Deficiency: Symptoms, Causes, and Health Risks. WebMD. Retrieved 2019-03-24. Osteoporosis – Symptoms and causes. Mayo Clinic. Retrieved 2019-03-24. Beta-Carotene: MedlinePlus Supplements. medlineplus.gov. Retrieved 2019-03-24. Aging changes in immunity: MedlinePlus Medical Encyclopedia. medlineplus.gov. Retrieved 2019-03-24. Office of Dietary Supplements – Vitamin C. ods.od.nih.gov. Retrieved 2019-03-24. 9 Signs and Symptoms of Vitamin B12 Deficiency. Healthline. 2017-10-07. Retrieved 2019-03-24. Magnesium: Uses, Side Effects, Interactions, Dosage, and Warning. www.webmd.com. Retrieved 2019-03-24. Calcium/Vitamin D Requirements, Recommended Foods & Supplements. National Osteoporosis Foundation. Retrieved 2019-03-24. Office of Dietary Supplements – Folate. ods.od.nih.gov. Retrieved 2019-03-24. Yigzaw, Erika. 5 Dangerous Ingredients in Your Vitamins and Dietary Supplements | achs.edu. info.achs.edu. Retrieved 2019-03-24. 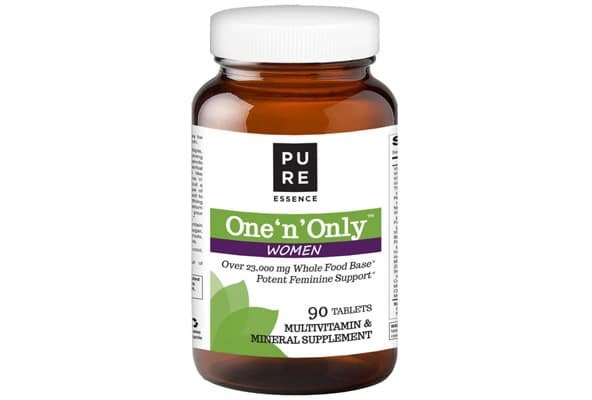 Pure Essence One ‘n’ Only is a complete multivitamin and mineral. The brand’s been around for many years and seeing it recommended by lots of influencers that I follow. I’ve compared and this One ‘n’ Only ingredient panel is impressive. All ya need!